Majority of parents (fathers) recipients are farmers and workers. Most recipients are from poor or very poor families; 90% have income per person as low as 120 SGD per month, many even 30 SGD. 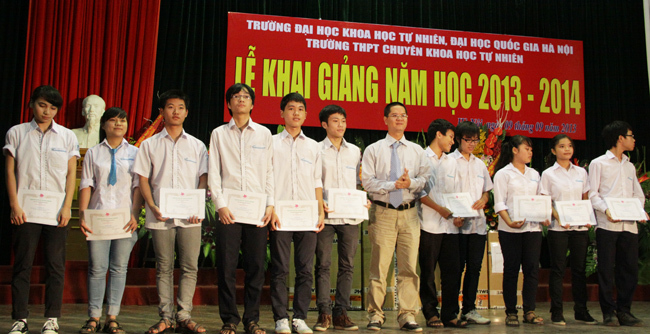 Most recipients are overall excellent; with 80% students got high to very high GPA score (in Vietnamese scale, max 10=A+; 9=A; 8=A-). 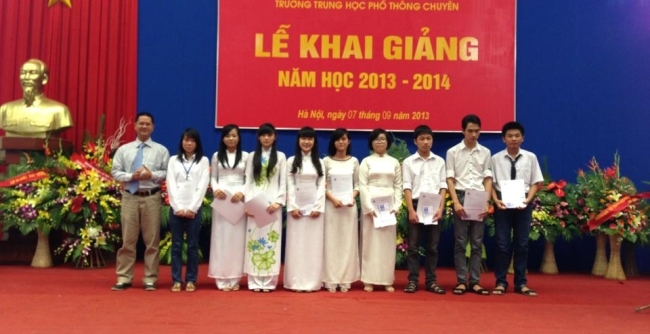 Most recipients are gifted at their majors; with 90% students got prizes in Olympiads. 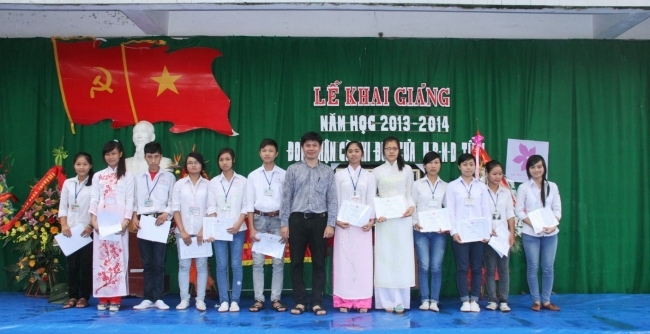 Recent awarding ceremonies for poor, excellent and ambitious Vietnamese students at 4 high schools nationwide. 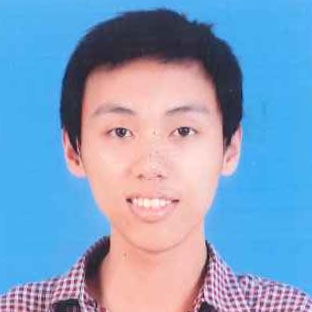 He won the Gold Medal in the prestigious International Mathematical Olympiad last year 2014. 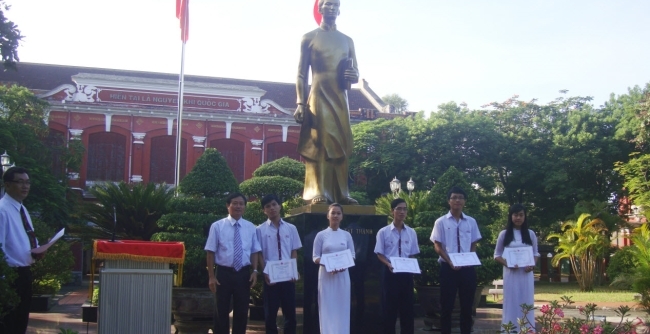 His dream is to pursue Math or Medicine sciences at a world-class university in United States. Her parents have to feed 6 children in a poor farming family with bad health conditions. 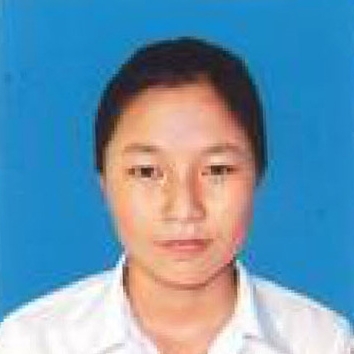 Owning the third prize in Geography at the Province Level, she has the dream to become a police woman to uphold security for people living around her residential areas.